For one of the world’s top vocalists, there is a Caribbean venue that is a match made in heaven. Imagine taking a Caribbean vacation and discovering your favorite singer or band is on island at the exact same time? Kenny Chesney and Jimmy Buffett are Caribbean mainstays with many of their songs dedicated to an island way of life. If the musical and vacation Gods were to concoct the ultimate combination, there is one Caribbean island where one musical headliner makes so much sense? Stop and think about Pink holding a concert on Harbour Island. One of the Bahamas outer islands, this quaintly gorgeous three-mile oasis is home to one of the most unusual beaches in the world. 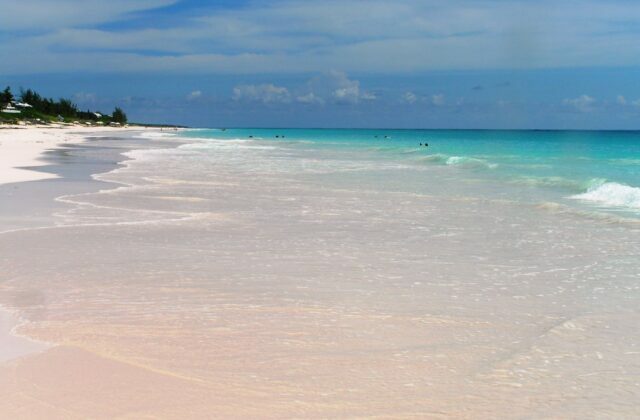 Pink Sands Beach is just that, a gorgeous stretch of powder composed of coral bits and teeny broken shells. In the right sunlight, this beach and adjoining turquoise water would serve as a glorious backdrop to a Pink outdoor concert. It never hurts to wish a little. Let the ground swell begin: Pink in Concert on Pink Sands Beach.